“What a vintage 2015 has turned out to be!” says young Cellarmaster Nadia Barnard. A happy combination of natural circumstances has provided what Waterkloof Cellarmaster Nadia Barnard feels might just prove to be the estate’s finest Sauvignon Blanc duo to date. 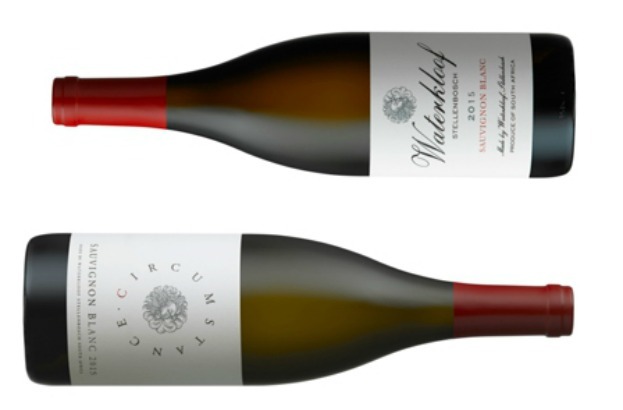 Over a year after harvest – which is unusual for the grape variety – its Circumstance Sauvignon Blanc 2015 and the highly limited Waterkloof Sauvignon Blanc 2015 have finally been released. There is no doubt that 2015 will be remembered as a landmark harvest for both Waterkloof’s deeply passionate Farm Manager, Christiaan Loots, and their rising star in the cellar, Nadia Barnard. “Throughout 2014, the team and I were constantly in the vineyard working, but also observing and comparing with previous years. 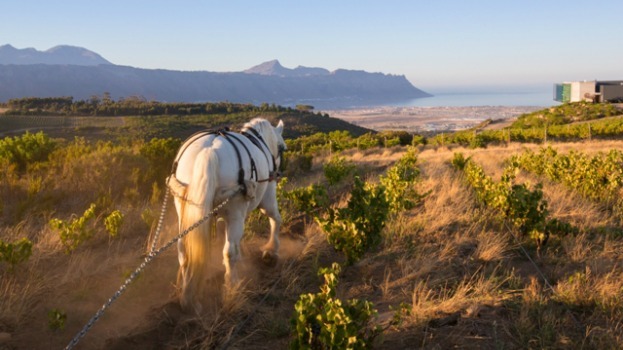 We could see clearly that eight years after we embarked on the organic and biodynamic conversion of Waterkloof, the estate had really found natural balance,” reflects Christiaan. “We then hit the jackpot with a fantastic growing season during the latter part of 2014 and early 2015. What a vintage 2015 has turned out to be!” adds a beaming Nadia. According to Christiaan, converting from conventional to biodynamic farming methods is no mean feat and one really needs patience and to believe passionately in the cause to stay fully committed. The hard work appears to be paying off for Waterkloof as their wines’ renown continues to grow internationally, having now been served in over ten of ‘The World’s Top 100 Restaurants’, including Dinner By Heston Blumenthal, Azurmendi, Zuma and The Ledbury. Locally, it is served in six of the 2015 Eat Out Top Ten restaurants. The estate also scooped the Tread Gently title at the 2015 Klink Awards for the wine farm that sets the standard for green, planet-friendly farming practices in terms of sustainable viticulture and wine production, biodiversity and conservation initiatives. “There seems to be a growing thirst for biodynamic and naturally made wines. People rightfully feel good about drinking something that is made with respect for the environment and for their own health. However, environmental and personal health factors are not the primary reason we farm and make wine biodynamically. Frankly, we’re not sure it is those benefits alone which drives people to buy such wines either. First and foremost, people who enjoy the adventure of wine want to drink something that tastes good and is an authentic reflection of place and time. At Waterkloof, we have an identical goal. Biodynamic farming and winemaking, allied to a well-positioned site, helps facilitate that. The environmental and health benefits are simply a welcome by-product of our desire to make the best wines we can from Waterkloof,” explains Christiaan. “We do not treat biodynamic wines as a category; it is more an ancillary element to our wines’ identity. The best quality fruit is always our goal, because the healthier the fruit, the better the wine,” adds Nadia. The estate’s location on the low-yielding slopes of the Schapenberg, is ideal for Sauvignon blanc – the estate’s signature varietal – and it shows in the newly released 2015 Waterkloof and Circumstance renditions. Both wines are shaped by an amphitheatre of ocean-facing, windswept vineyards, allowing for low yields and slow ripening periods. This ensures a high natural acidity, intense flavours, complexity and finesse in the grapes. “You can have the best ingredients in the world, but without treating them respectfully, you can never make a true wine of origin. We monitor, we do not dictate”. Both Circumstance and Waterkloof Sauvignon Blanc were made in the same way: The grapes were whole-bunch pressed to guarantee gentle extraction of the purest juice. They then fermented spontaneously, using only the wild yeasts present on the grapes, in old 600litre barrels. Unlike most Sauvignon blanc, which normally takes around 4-7 days to ferment using aggressive commercial yeast before being released a few weeks or months after harvest, both of these Waterkloof wines fermented for approximately 7 months. They then remained on their primary lees for a few more months prior to bottling. No enzymes, acid, commercial yeasts or animal products were used in making either wine. So, if both are made the same way and stem from the same farm, then why do they taste so different? True to the circumstances in which the grapes are grown, their distinctiveness from one another is derived solely from the location of the vineyard blocks on the farm. Circumstance comes from a few blocks on Waterkloof, some higher up and some lower down, averaging a miserly 4 tons/hectare. Meanwhile, Waterkloof stems from the estate’s most windswept block at the very top of the Schapenberg. This single block gives up just 2 tons/hectare of almost transcendent Sauvignon blanc, imbued with higher acidity, immense concentration and the ability to age for even longer than the Circumstance Sauvignon Blanc. According to Waterkloof’s Cellarmaster, although distinct from one another, they share an “intriguing, inimitability and captivate with an energetic acidity”. Both can be cellared with confidence and once opened will pair exceptionally well with sweeter shellfish of all types, especially fresh crayfish on the grill. *Both Circumstance Sauvignon Blanc 2015 and Waterkloof Sauvignon Blanc 2015 are certified organic by CERES (Certification of Environmental Standards GmbH) and certified biodynamic by Demeter International, named after the Greek goddess of grain and fertility and based in Germany.